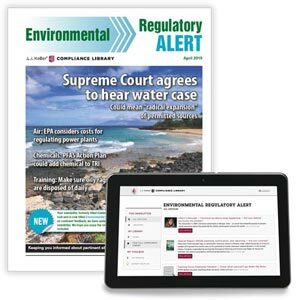 EPA released its final state implementation plan (SIP) Requirements Rule for implementing the 2015 National Ambient Air Quality Standard (NAAQS) for ground-level ozone. These requirements apply to states and tribes with nonattainment areas as well as the 13 northeastern states that currently make up the Ozone Transport Region. EPA says the rule will help states and tribes develop their implementation plans to meet the 2015 ozone standards. The Ozone Transport Region includes Connecticut, Delaware, the District of Columbia, Maine, Maryland, Massachusetts, New Hampshire, New Jersey, New York, Pennsylvania, Rhode Island, Vermont, and Virginia. The Clean Air Act (CAA) requires EPA to set NAAQS for pollutants that are common in outdoor air, that are considered harmful to public health and the environment, and that come from numerous and diverse sources. Periodically, the standards are reviewed and may be revised. EPA most recently revised the standards for ozone on October 1, 2015. Ozone levels are most commonly elevated in the warm summer months, when hot sunny days make it more likely that ozone will form. But this isn’t always the case. In parts of the western United States with high levels of local volatile organic compounds (VOC) and nitrogen oxide (NOx) emissions and unique meteorological conditions, ozone levels have been high when snow is on the ground. The rule takes effect 60 days after its publication in the Federal Register.